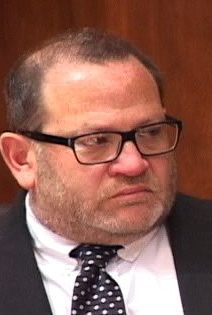 San Luis Obispo County Supervisor Adam Hill was scheduled to be deposed Friday in a case involving CCN, but the deposition is on hold while Hill mounts a legal battle to stop his requirement to testify under oath. Charles Tenborg filed a lawsuit against CalCoastNews in 2013, claiming libel. As part of discovery, CCN’s attorneys served Hill with a subpoena for a deposition. Days before the scheduled deposition — and despite the county not being party to the case — County Counsel Rita Neal contacted CCN attorneys on behalf of Hill. She claimed Hill had a scheduled meeting, and thus would not be able to attend the deposition. Neal also argued that Hill has no personal knowledge about the lawsuit and should not have to testify. Several of Tenborg’s claims against CCN are specific to IWMA board issues, including the approval of Tenborg’s contract. Hill is a member of the IWMA board and voted to approve Tenborg’s contract. In addition, Tenborg testified that he spoke with Hill about the lawsuit before he filed his claim, and Hill subsequently sent texts to CalCoastNews advertisers boasting of his involvement in the case. On Oct. 3, Riverside attorney Douglas Smith sent an ex parte motion seeking to prevent Hill from testifying before CCN attorneys. In the motion, Smith claims Hill is exempt from being deposed because he is a high ranking public official with no personal knowledge of claims in the lawsuit. The supervisor is seeking a protective order and an order to quash his subpoena. In Hill’s sworn declaration, he makes multiple grammar and spelling errors, even spelling San Luis Obispo County wrong twice. Wow, Adam Hill’s legal declarations are as well written as his campaign mailers. And this guy was supposedly an english professor at Cal Poly???? Kudos to Daniel Blackburn for one of the most enjoyed photos of Supervisor Adam Hill. If I were in the movie business I’d put this guy to work, I think he’s a natural for the lead role in a Crook of Crooks movie or something like that. I would wish for the best for him in a acting career, that look is a birth right. To bad Adam took a wrong turn in the road from education to politics, it should have been joining the Actor’s Guild. Now, that’s a creepy clown! If not now then in January Ms. Neil can be put out to pasture with the new majority! !